Resistance bands have been used by coaches around the world for over 20 years to train there elite athletes from from such as football, cricket, baketball, swimming bodybuilding and many more. These bands are great for everyone from children to Olympic competitors. 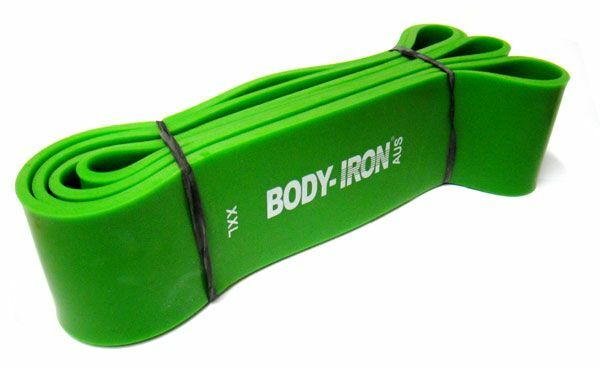 Resistance bands are popular with everyone from power lifters to Crossfit enthusiasts. Housewives working out at home and interested in fat loss to business people who spend a lot of time traveling. Resistance bands provide variable resistance meaning resistance increases throughout the range of motion of an exercise. The bands increase resistance in the part of an exercise where the lifter is strongest. It has been scientifically proven to be a much more effective and natural way to train. The more a band is stretched the greater the resistance level. Different sizes depend on the strength of any given individual so here are some general guidelines. Its recommend customers to choose three levels of resistance to cover different exercises. For example, individuals are stronger in a squat than a bicep curl or military press. If you wish to use the power bands for barbell exercises like squat, bench, military press or dead lift then bands will need to be bought in pairs. Resistance weights do not correspond directly to barbell or dumbbells due to the greater stress. To cut things short, 20kgs of band tension is more difficult than 20kgs of bar or machine weight. Always consult your doctor/physician before commencing any exercise regime. Worldfitness will not be held responsible for any injury or death that occurs while using this product. Check the product for any manufacturing defects prior to use. If defects are evident, do not use the product and contact Worldfitness immediately. Worldfitness recommends seeking assistance from a qualified personal trainer before commencing training. Keep Power Bands stored in a dry place. Keep Power Bands out of direct sunlight for prolonged periods. Natural latex is damaged by UV rays. Do not stretch bands beyond one-and-a-half times their original length. Avoid looping bands around abrasive surfaces (use a utility strap to tie off safely). Avoid doing Monster Walks with shoes on. The tread of shoes combined with the friction with the ground will damage the band. Worldfitness Power Bands are covered by a three-month warranty for manufacturers’ defects and faults. Worldfitness will exchange/replace/refund to the customers satisfaction all Power Bands affected by manufacturers defects. This warranty does not include normal wear and tear and aesthetic appearance. This warranty does not include Power Bands that are subjected to abrasive surfaces, over-stretching or misuse.